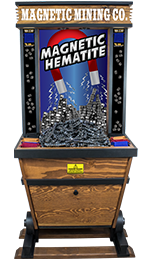 Our Magnetic Hematite Zingers make a "zzzing" noise as they attract and repel each other. These 25mm spheres are sold by the pound in 11lb bags and 44 lb boxes. Approximately 6 Pair per pound. 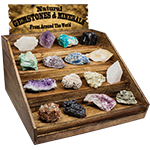 FREE Countertop Display with your first purchase of 44 lbs! This item qualifies for FREE SHIPPING in the continental USA.